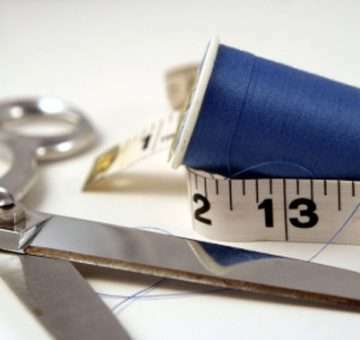 Whether it is just a simple hem to be taken up or a complex refit, our seamstress can help you out. Fittings done on site at Floreat, with all other repairs and alterations being able to be left at all other sites. If all that hard work at the gym is paying off, there’s no need for a whole new wardrobe. Maybe you found something online that didn’t quite fit as well as you’d like. Whether it’s frayed hems, torn seams, broken zips, too-long sleeves or just plain loved-to-death, we can mend your treasured garments or get them fitting just right. Ad Astra Dry cleaning offers top quality clothing repairs and alterations. Our Floreat location houses our experienced and talented repair and alteration staff.